Discussion in 'Parts for sale' started by bill lagna, Aug 11, 2018. Small dents but no rust thru. Not in line, but just thought I'd share that those look exactly like the headers on my '63 Riviera. What size are the collectors? The opening is 2 1/4 " so they would use a 2 1/4' headpipe . They sure look like the TA shorties. had mine jet hot coated. Fit engine compartment of Wildcat fine. Only major change -seemed like one side exited lower than stock cast manifold. BYoung and red67wildcat like this. What are these headers out of? 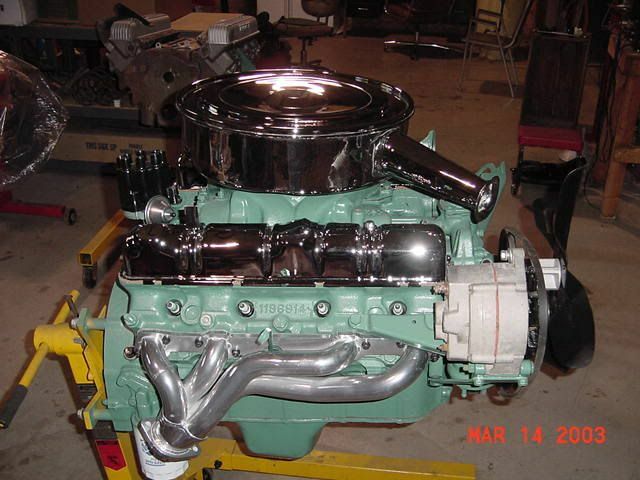 Looking for a set for a 63 Wildcat. I bought these used for a project installing a 425 nailhead in a 55 buick . on the 322 engine . Shorty headers - 63- 66 Riviera ,62-66 Lasabre , wildcat , Electra . Shipping cost included will be to a US address . Gonna treat myself to a Christmas present. Are these packed? I need to know the package dimensions and weight so I can choose whether I send them to LA for consolidated shipping to NZ or to Portland to be direct shipped. I will pack them and give you dimensions and weight tomorrow . The headers will be packed in a box 8"h x 14"w x 25" long . The weight is 20 to 25 lbs. Will also send you a PM . Box is 8 "h x 14" W x 25" long. The weight is 2o to 25 lbs. Also sent you a PM .